Are you tired of the same old spooky snacks? 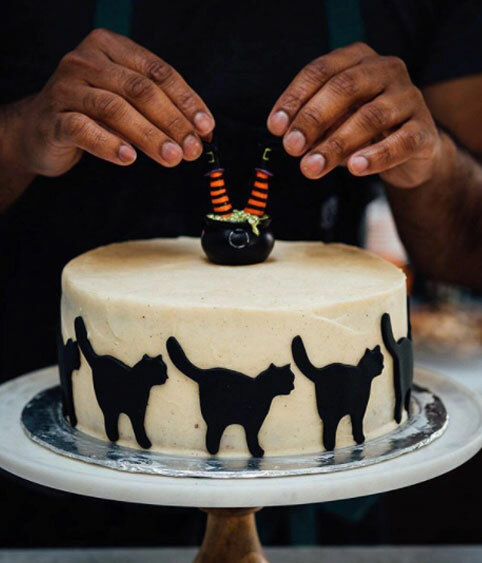 Do you want to serve your friends, family, or coworkers some incredible Halloween treats? Are you trying to get an amazing photo for Instagram that everyone will like? If you answered yes to any or all of these questions, keep reading. We’ve got ten Halloween treats that are sure to do the trick! 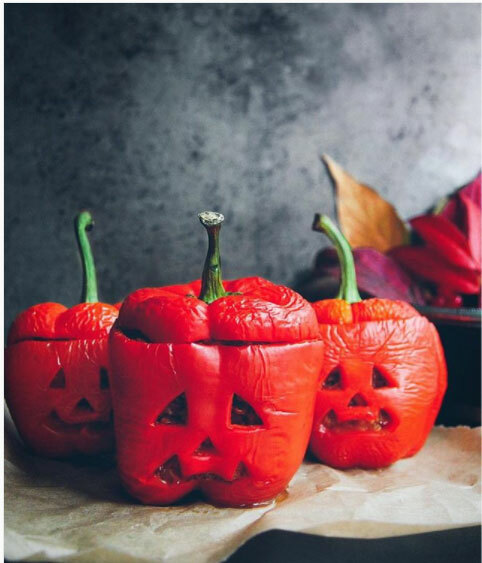 Bell peppers are the perfect replacement when you don’t feel like carving a pumpkin. Turns out too, that if you stuff it full of quinoa, it becomes an awesome appetizer! Not only will you have a tremendous Halloween treat on your hands, but a pretty picture for Instagram also. So, Starbucks recently released an all new Pumpkin Spice Chai Latte…So what? Doesn’t mean much when you have this kind of cake in front of you. If you’re trying to impress your office with a creative confection, you can’t go wrong with this one. We’ll come right out and say it: we’ve got good news and we’ve got bad news. The good news is you won’t need a Halloween hog to dig up these tasty truffles. The bad news is you may end up hording them all for yourself. 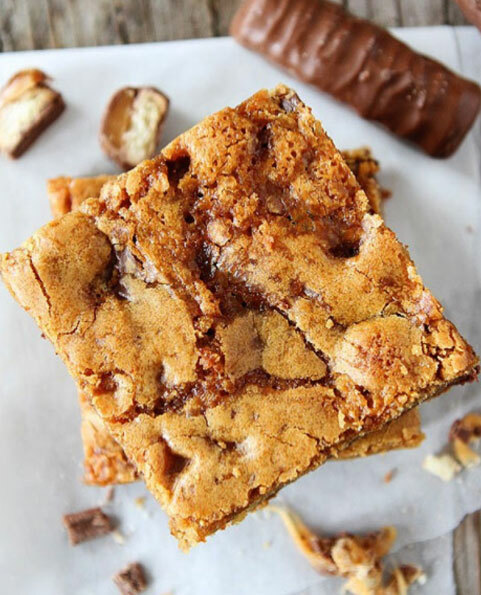 Here’s an idea: take all that leftover candy and turn it into a caramel cookie bar! We guarantee that everyone in the office will fall head over heals for your horrifying creation! 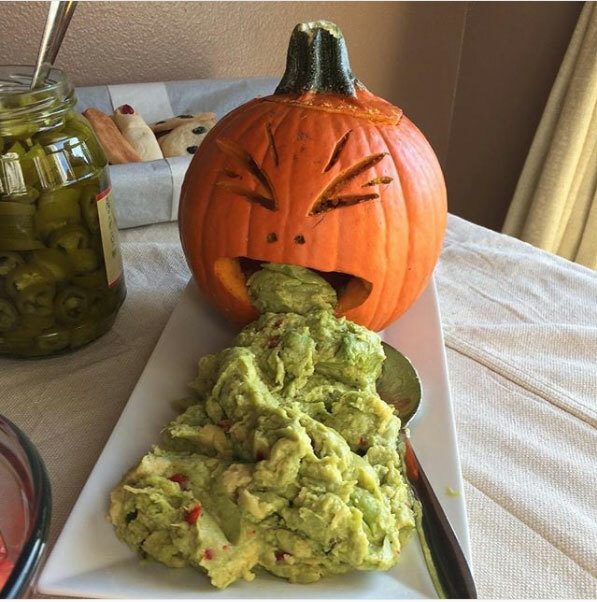 Guacamole goes great as an appetizer, but it goes even better as the guts for your spooky jack-o-lantern! Gross everyone out in the office with this fun and tasty cooking project. 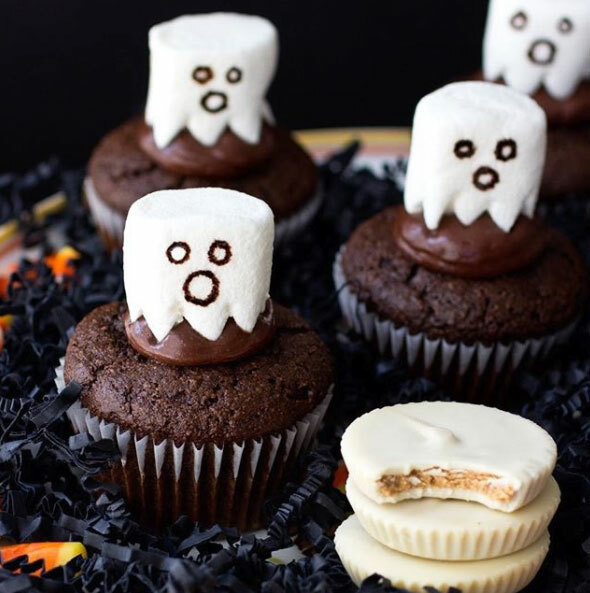 These creepy cupcakes are boo-tiful, especially when you add marshmallows to the mix. Oh, and by the way, they’re packed full of peanut butter! 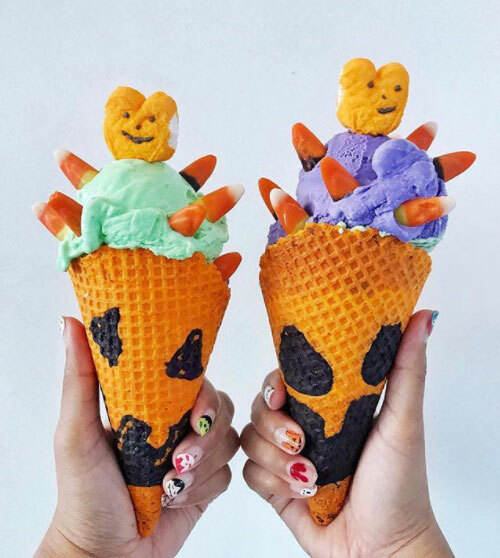 On Halloween, we all scream for ice cream! 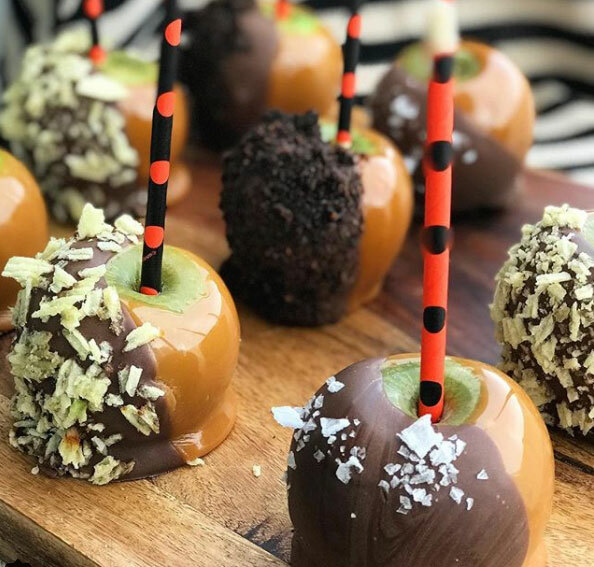 Break out the candy corn and other fun fixings, because your office will be having a howling good time with these themed treats. 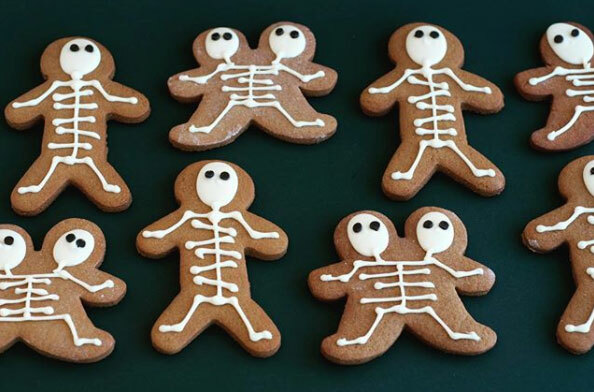 If you can’t wait for Christmas, start baking your ginger bread now with these “Dead” men! Decorated to look like a bunch of silly skeletons, you can do whatever design your heart desires. You won’t be bobbing for these bad boys any time soon, but cover them in caramel and you’ve got yourself a keeper. Judging by this food bloggers use of ingredients, there is an endless amount of ways you can take this. 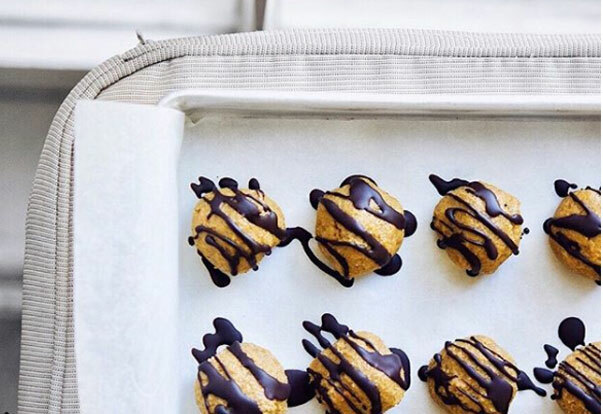 There’s nothing wrong with wanting some healthy Halloween treats! 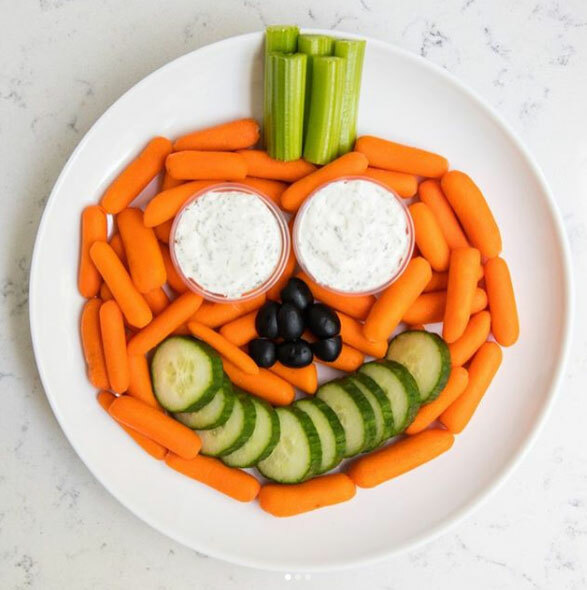 Arrange your fruits and veggies to resemble any classic horror character. Click here if you’re in need of extra tips to have a healthy Halloween. We hope that these Halloween treats help! If you’d like to learn how to host the best Halloween office party, click here to learn more. Work hard. Eat well. 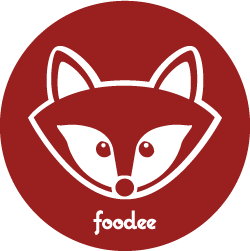 Find more great content on the Foodee Blog. ENJOY THE ARTICLE? SHARING IS CARING. Sign up for info on new restaurants, promotions, and local community events. Try it now, Unsubscribe Later.